of the phone in Nigeria. The Tecno S5 runs an Android version of 4.2 Jellybean, a network capacity of 3.75G network (Get ready for speed), 1.3 GHz dual core processor, 4.5" Capacitive touch screen, 5MP rear (back) camera with flash, 1.2MP front camera, 4GB ROM and Dual SIM dual standby. As at the time of writing this post, i have not been able to get details of the price in Nigeria but some sources revealed that the phone will be sold between 18,000 to 19,000 NGN. Even the online shopping sites like Jumia and co. are yet to have it. 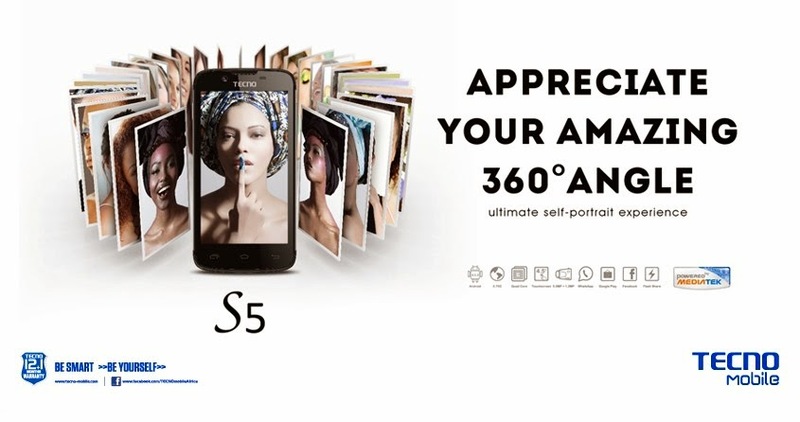 So i suggest you stay tuned to this blog for updates regarding the tecno s5 and other future infos like this one.